Ready for the United Center. Officially previewed in the road colorway earlier this month, here's a look at the adidas D Rose 6 Boost that Derrick Rose may wear for the Chicago Bulls' home games next season. If one thing is clear, this shoe is at its best in Bulls colorways. This pair is styled in white, with perforations along the quarter and a black strap system locking in the fit at the heel. The lone hits of red visible in this photo appear on the heel logo and forefoot cushioning detail. An icy translucent sole caps off the look below. 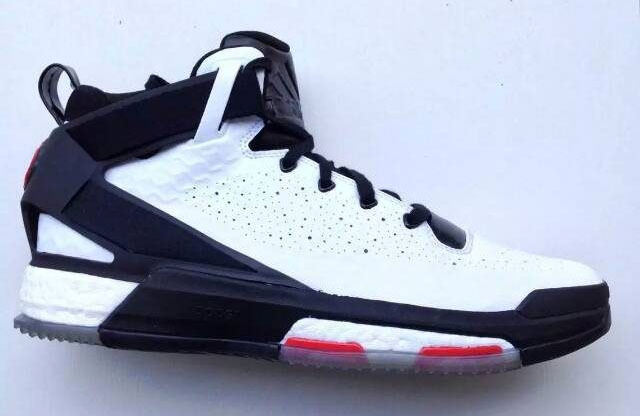 Adidas hasn't announced an official release date yet, but the D Rose 6 is expected to drop this fall.